Pop over to CoinMarketCap and check Bitfinex’s page. You’ll see that the trading pair with the second-highest volume on the exchange over the past 24 hours – nearly $48 million at the time of writing – is USDT/USD: the tether stablecoin, which aims for parity with the U.S. dollar, and the U.S. dollar itself. From this data point, you could be forgiven for concluding that Bitfinex’s customers trade huge quantities of tethers for dollars, and vice-versa – more than they trade ether, XRP and EOS combined for dollars. According to a Bitfinex spokesperson, the exchange does not offer a USDT/USD trading pair, and no such pair is shown on Bitfinex’s site. 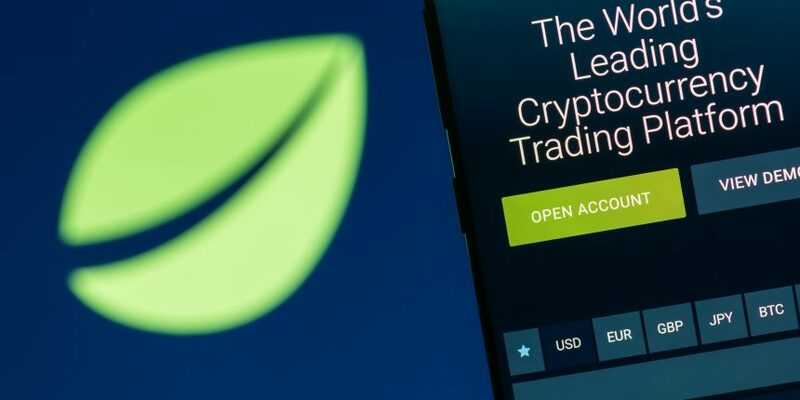 Customers can deposit and withdraw both dollars and tethers at Bitfinex, meaning that it is possible to transfer one for the other through the exchange, but this process is far slower and more involved than placing a trade on the exchange. If there’s no USDT/USD trading on Bitfinex, then, why does the pair appear on CoinMarketCap – easily the most-visited aggregator of cryptocurrency data, according to Amazon’s Alexa rankings? The question is more than an academic curiosity, given that Bitfinex shares common owners and managers with Tether Ltd., the entity that issues USDT, and that the stablecoin is under increased scrutiny since losing its parity with the dollar more than a week ago. According to Carylyne Chan, CoinMarketCap’s global head of marketing, the data comes from Bitfinex’s own public application program interface (API), which feeds exchange data to outside applications. Here is the API link Chan provided for the volume data point. Chan made it clear that CoinMarketCap is as confused as anyone about the meaning of the non-trading pair. In particular, it is unclear what the “volume” data point represents for the apparently non-existent trading pair. Bitfinex’s exchange page on CoinMarketCap, showing the USDT/USD pair that customers can’t actually trade, as of 17:00 UTC Tuesday. He added that “USDT is only used as a transport layer on Bitfinex,” meaning that it can be withdrawn more quickly than fiat and deposited more simply on other exchanges. Dollar trading pairs on Bitfinex, he continued, refer to U.S. dollars and not tethers. Stepping back, few exchanges offer direct trading between tethers and U.S. dollars. Kraken is one example; tether flooded onto the exchange last week after the USDT peg to the dollar broke amid worries about the issuer’s access to banking services. Bittrex, which did not see a similar influx of tethers, also offers the trading pair. Given the relative scarcity of options for direct tether-to-dollar trading, it is fair to ask if the data from Bitfinex would have a distorting effect on the composite price displayed on CoinMarketCap. The USDT/USD exchange rate shown by Bitfinex’s API has consistently been $1.00, even since the peg broke. On Kraken, by contrast, tether’s price briefly fell as low as $0.85. It has yet to fully recover, trading at $0.972 on the exchange late Tuesday and $0.985 in CoinMarketCap’s aggregated calculation. However, Luke Wagman, chief evangelist at CoinMarketCap, said there has been no “noticeable effect” on the aggregate tether price. As for whether the site plans to adjust or remove the data point, Chan said CoinMarketCap “will have a better idea about the exact steps to be taken” when the Bitfinex team responds to its inquiries. UPDATE (20:05 UTC, Oct. 23, 2018 ): This article has been updated to incorporate additional comments from Bitfinex.